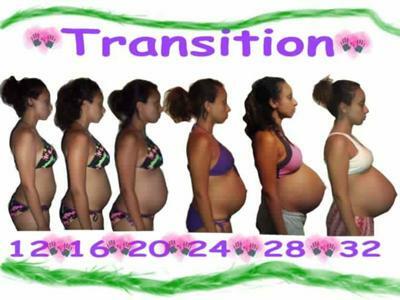 My transition from 12-32 weeks.. I'm 34 weeks now so I got 2 more weeks to add the last stage ...this is my first pregnancy and it's a boy and a girl. thanks for putting your pics on here. im 11weeks today! this is my 5th pregantcy i kept having miscarriages, never got farther then 10 weeks with a singleton. im now a ll weeks with twins!your pic are the closest thing to how big i am other then im a little on the chubby side. Look at how much your hair grew! !